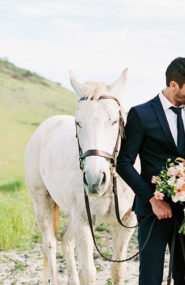 We are so excited to share Dina Bandman’s beautiful work and business journey on IBT today! 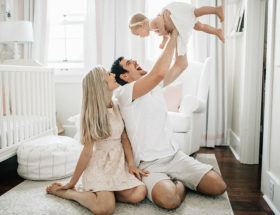 As an interior designer, Dina is queen when it comes to incorporating incredibly unique elements, like a custom lucite crib in a nursery or a doggy wash in a laundry room! 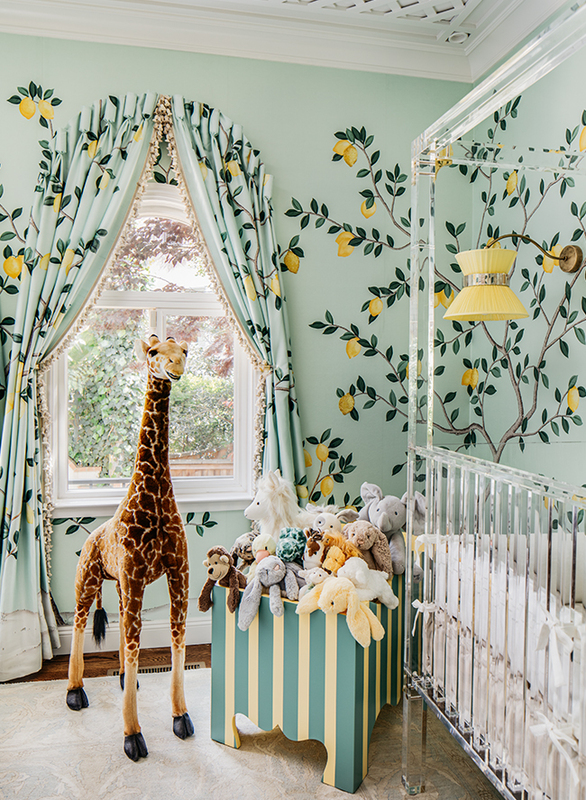 Yep, these are just a couple of the special pieces featured in the rooms below… And once you’ve seen this lemondrop nursery, you will never be the same! When did you decide to launch your own business? What ultimately encouraged you to take that leap? Launching your own business is terrifying! But when it’s something you are passionate about, its a whole lot easier to get things to fall into place the way they’re meant to. In my case, I had moved to San Francisco and was helping a dear friend renovate and remodel her new apartment and the opportunity to create my own business grew organically from there. It’s been a whirlwind ever since! Tell us a little bit about you! Where did you start your career? I started my career in New York City where I went to law school initially. After a semester there, however, I realized being a lawyer was not my passion – interior design was and always had been my love and I decided to listen to my heart and follow that passion instead. I actually finished my law degree (long story!) but then went straight to design school at the Art Institute in New York before landing my first internship with the fabulous Katie Leede Studio. EVERY day is different! I usually wake up around 6:30am, make myself a cup of coffee, get through my first round of emails and check my calendar for the day. Then, I hop in the shower and make myself presentable… The rest of the day is spent in client meetings, sourcing for projects, responding to clients, and updating Asana (an incredibly useful tool we use to keep our team on track). 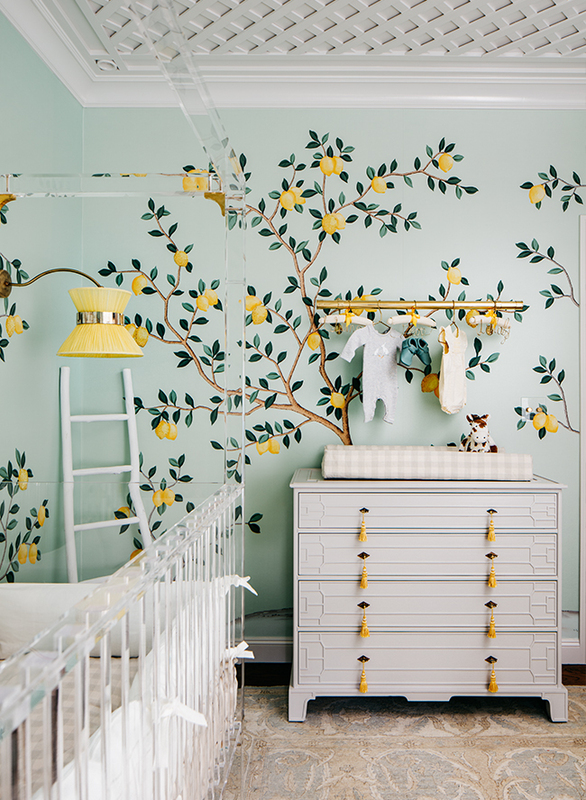 OK, let’s talk about this ‘Lemondrop Lullaby’ nursery!! What’s your favorite part about it? 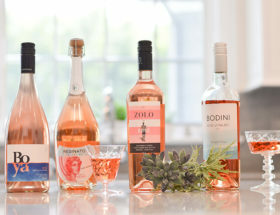 SO hard to pick a favorite! 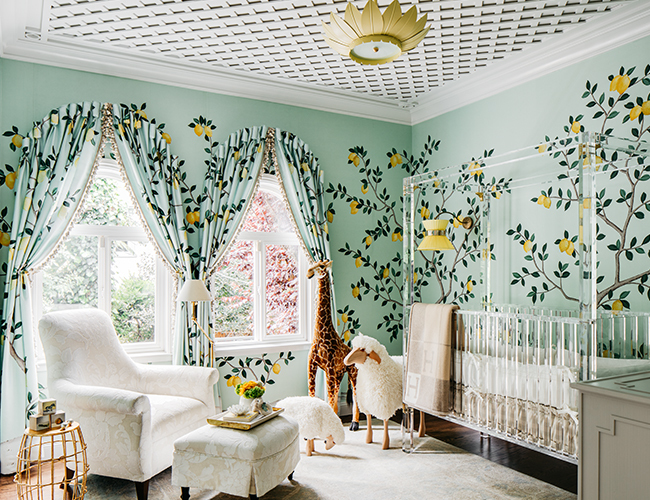 The wallpaper by de Gournay is really near and dear to my heart and something that was really fun to design from scratch. They really allowed me full creative license with the design and when they offered to include a new treatment of hand embroidered sequin embellishments for my design, my heart just melted. I also REALLY love the Vintage Oushak rug I found for this space. 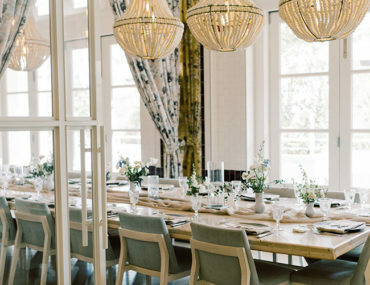 It’s such a beautiful pattern with really lovely muted colors and balances this room so well. It’s the type of rug you search and search for and in this case, it just appeared at the right time, right size, right everything. It was meant to be. 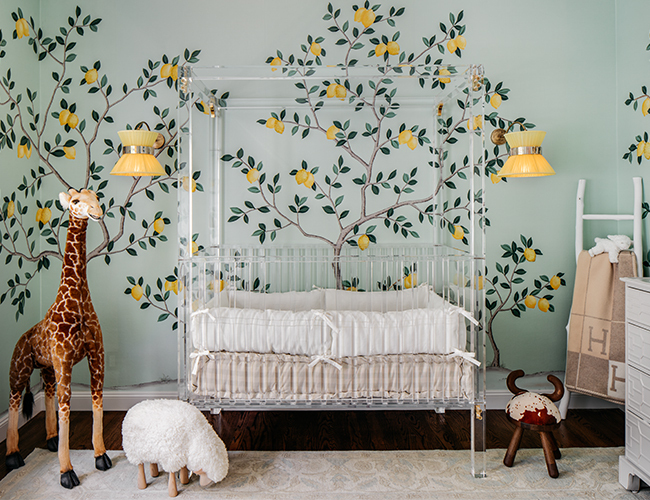 We also had a lot of fun designing the custom lucite crib – nothing like it existed in the market and it was so much fun creating something so unique and special for this baby’s room. It makes a beautiful statement without overpowering or competing for attention. I love it! Fresh Traditional. I definitely lean towards more traditional design but I am a big believer in creating livable spaces as well. 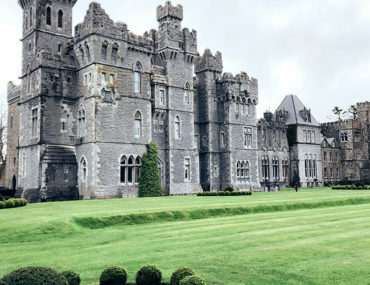 So many traditional designs feel untouchable to me, and that is not my goal when I’m designing. I always want things to be beautiful, but if they are not practical, it’s just not realistic in a home. It’s not how we live today and that’s where the ‘fresh’ element of my design aesthetic comes in. Classic always beats on trend, but it can (and should) be fun! 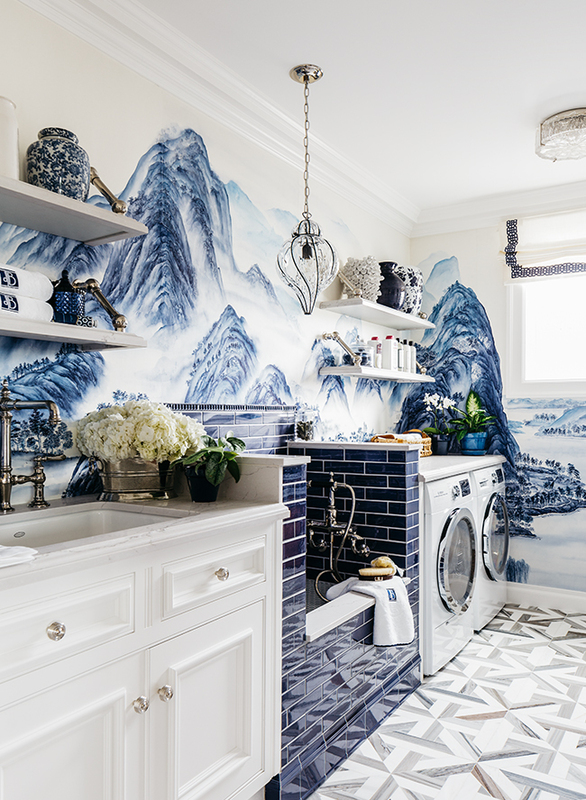 What was the inspiration behind this stunning laundry room? My own life provided the inspiration for this particular laundry room design. I have an adorable Shmorkie (shitzu, yorkie, maltese mix) but SHE HATES BATHS. She can’t stand getting wet and its such a struggle to bathe her at home. 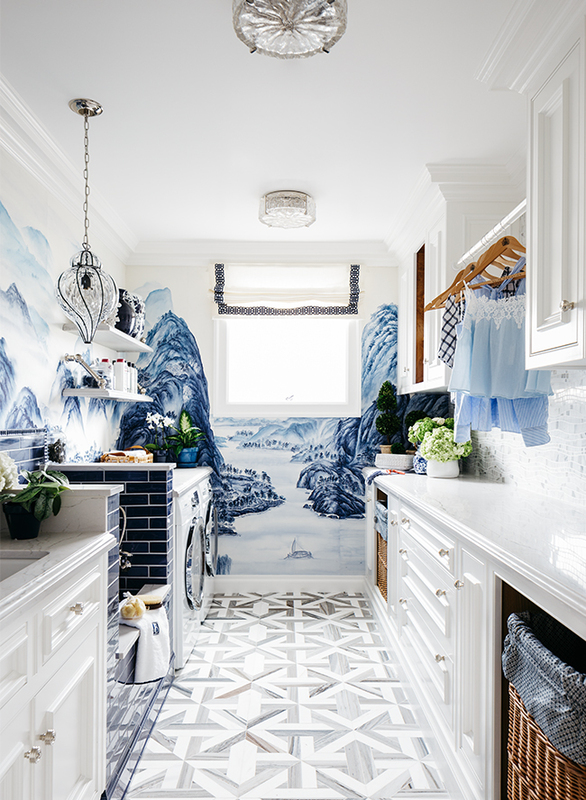 When I started to design this laundry room, I thought how perfect it would be to design a custom dog wash in the utility room to make all our mundane tasks that much more enjoyable. The idea just grew from there and this room has really resonated with everyone who sees it. We all love our pets and a luxuriously appointed room like this is a wonderful way to pamper EVERYONE! 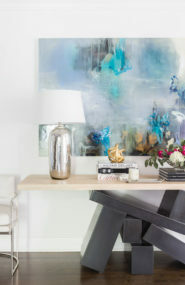 We love the statement making walls in these spaces! Is that a common thread in your work? 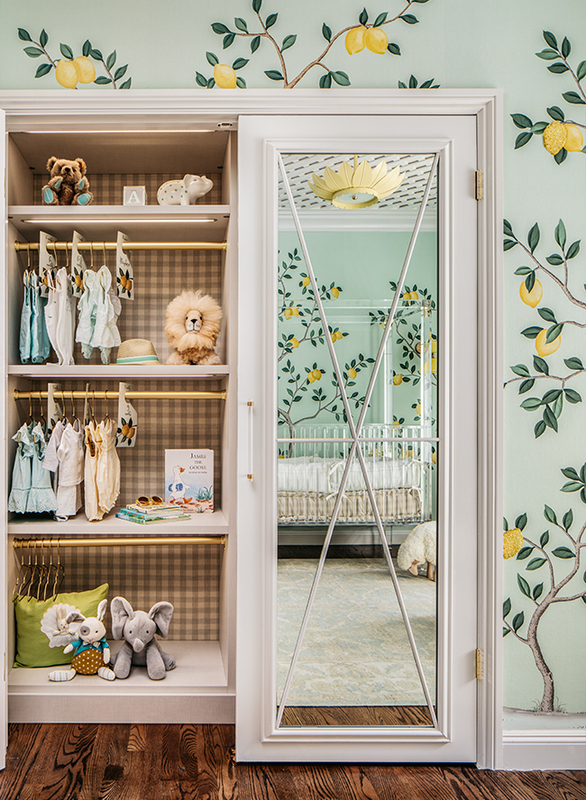 When designing a room, where do you start? 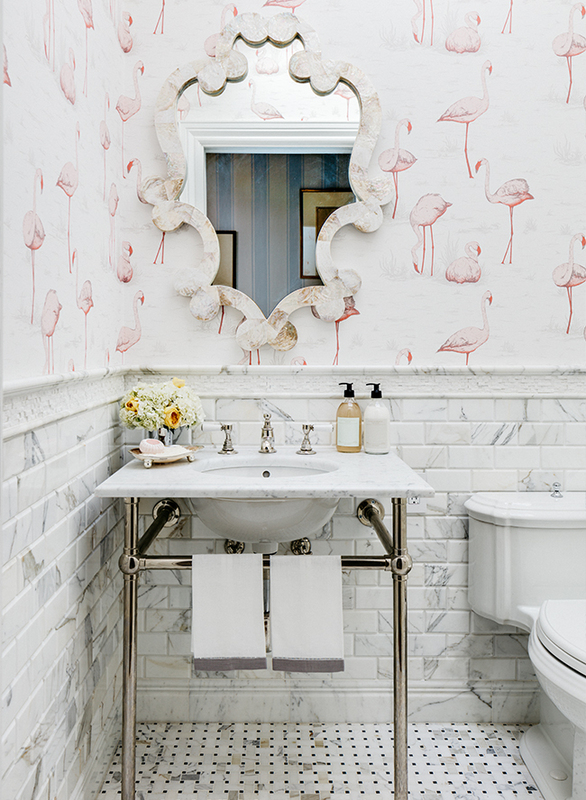 I REALLY love wallpaper – and the more whimsy the better. 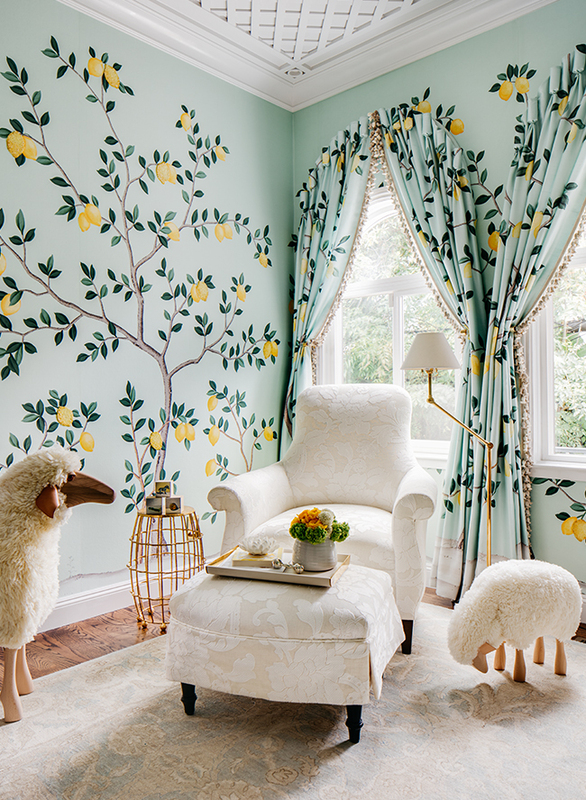 If wallpaper is an option when I’m designing a room (and it should almost always be an option….) 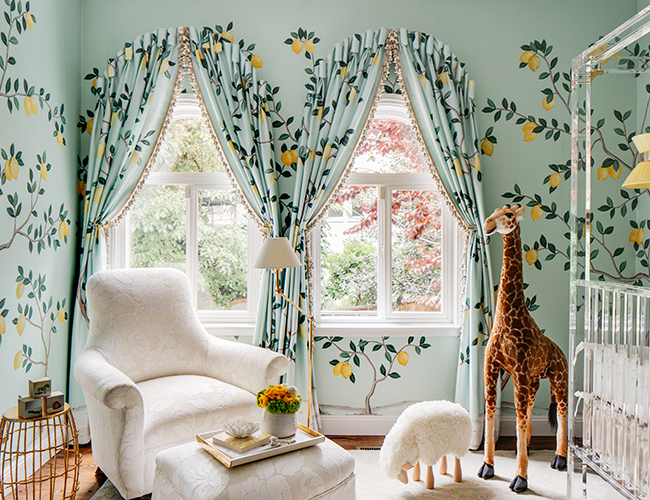 then the wallpaper is the driving force behind the design. If a client is seeking a more neutral room, than I usually start with a soft muted rug and create a design around that. And if they are open to something a bit more bold, then it’s often a particular fabric that starts the design process. 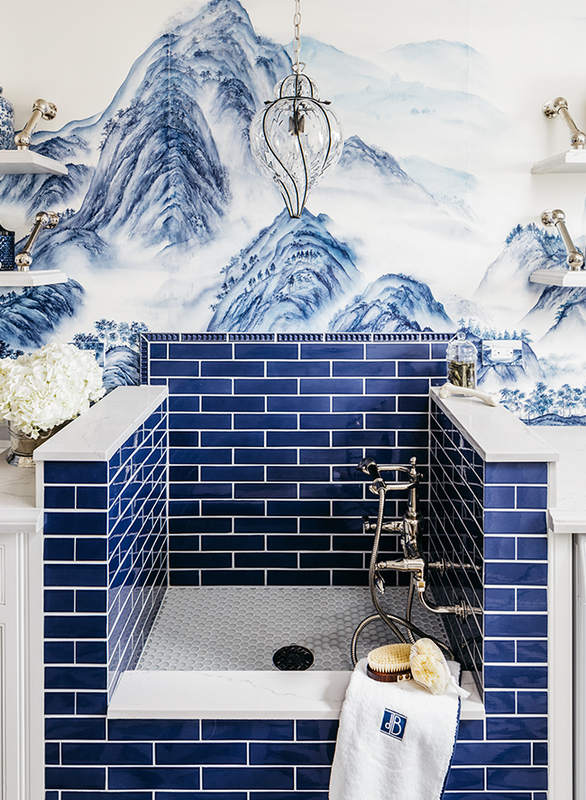 No two projects are alike, but there are so many elements to play with when designing a space, and there’s so much joy in layering them together in a way that’s personal and unique to each client. There should always be a place to rest a drink without having to get up! Oh….and More is More! Omg that laundry room is prettier than my whole house!!! This is giving me serious interior design inspo!